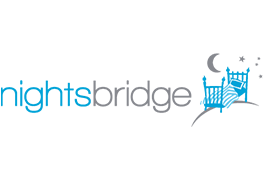 On behalf of Cradle Valley, we would like to congratulate you on your engagement. 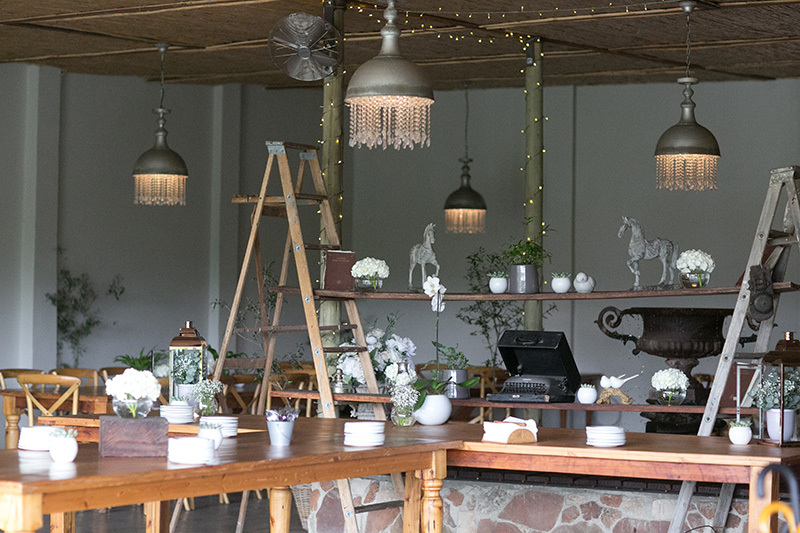 Thank you for your interest shown in Cradle Valley, it is a pleasure to introduce our beautiful & charming Wedding Venue. 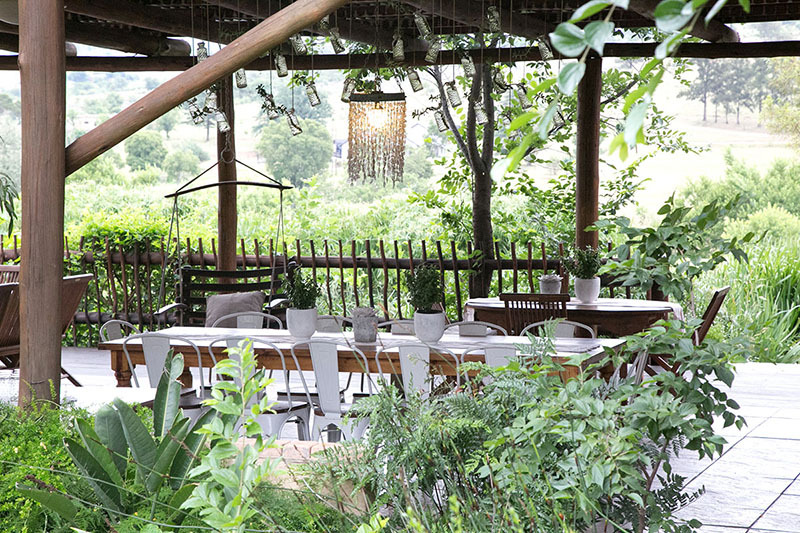 The Venue at Cradle Valley offers full exclusivity in an intimate & romantic country setting overlooking the Valley. 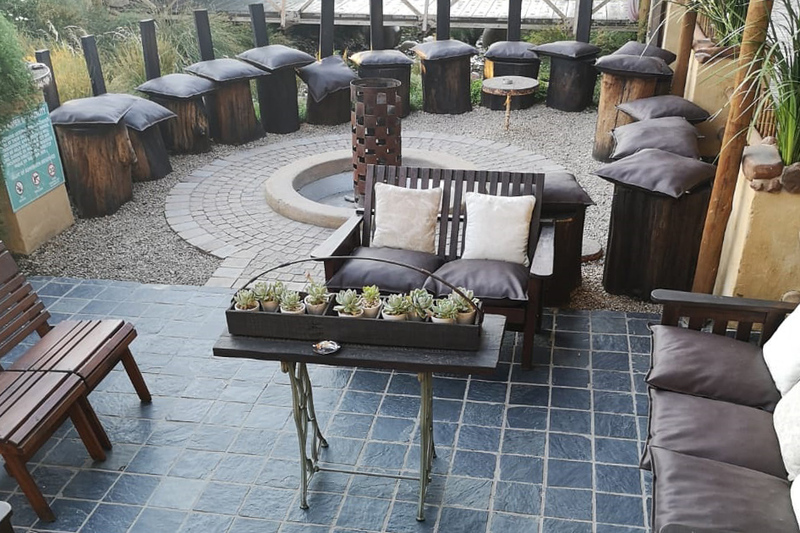 Your guests will be welcomed by our friendly staff and unwind in a relaxed & comfortable setting next to the Cradle Valley dam, close to the parking area. 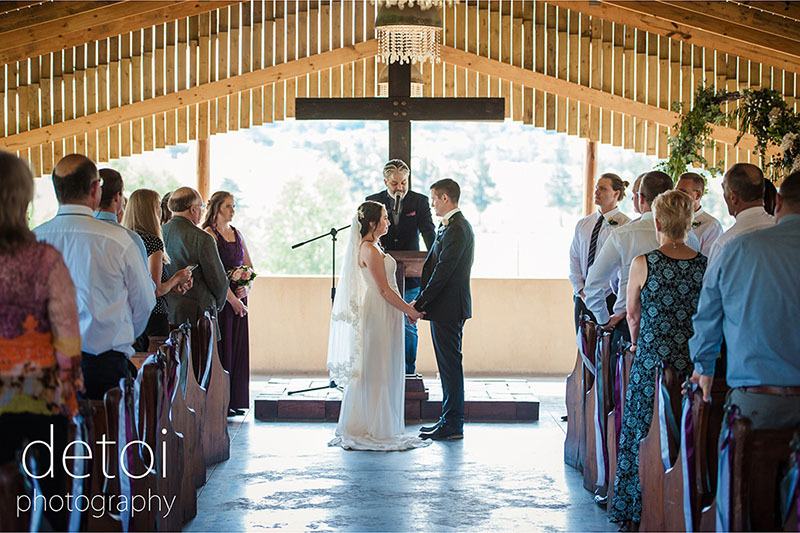 Guests will then be ushered to the chapel by our service ambassadors. 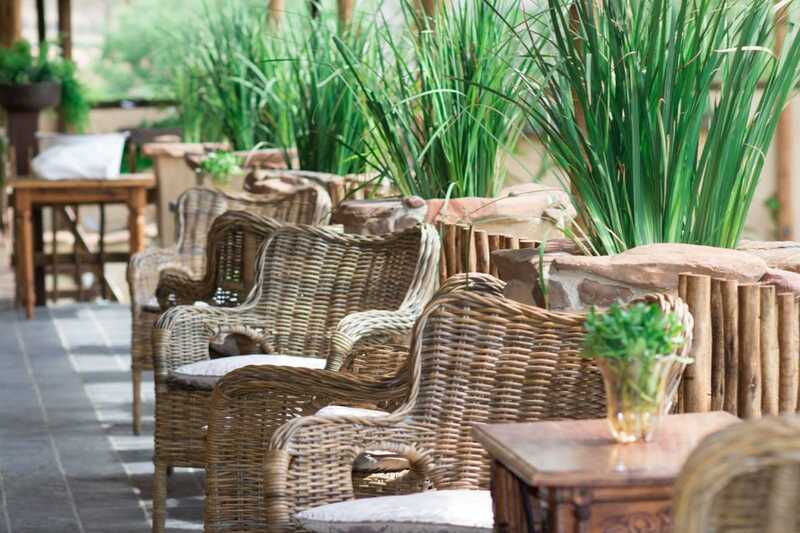 The following morning, breakfast* can be served in this tranquil area (*weather permitting). 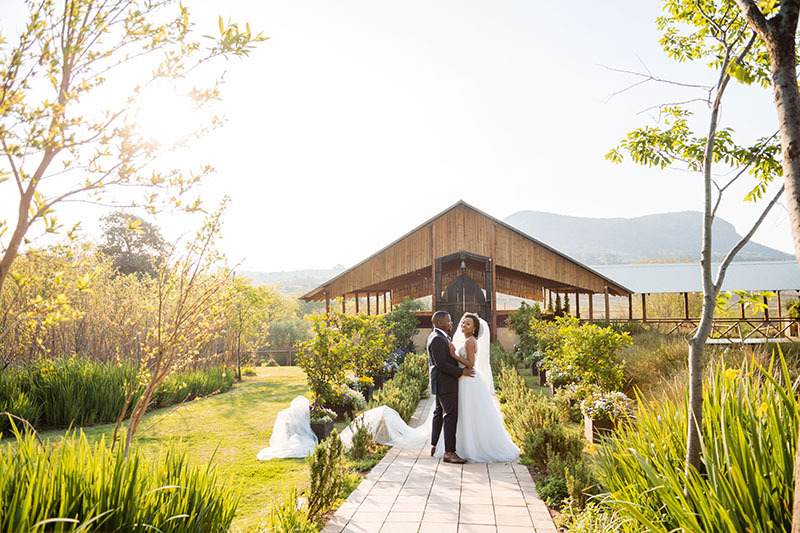 You will fall in love with the breath-taking open-air chapel with its beautiful 360-degree views, the sound of the water stream flowing softly in the background and our adorable ducks celebrating your wedding nuptials. 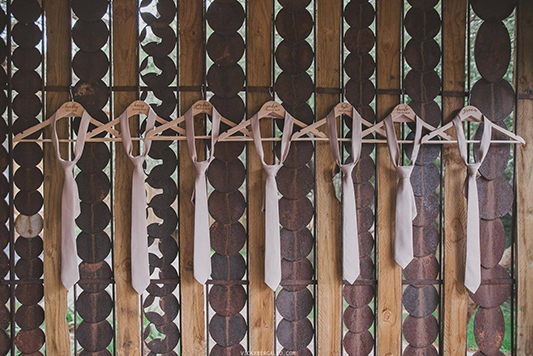 Your guests will sit on 100-year-old original church pews, with fleur de leis hooks for pew arrangements. 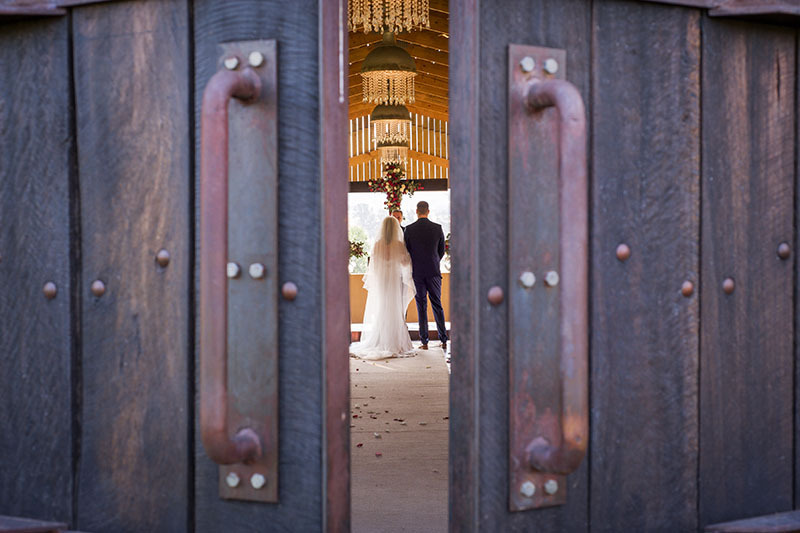 The bride will enter through the one of a kind, handmade oversized medieval-era looking, wooden main door. 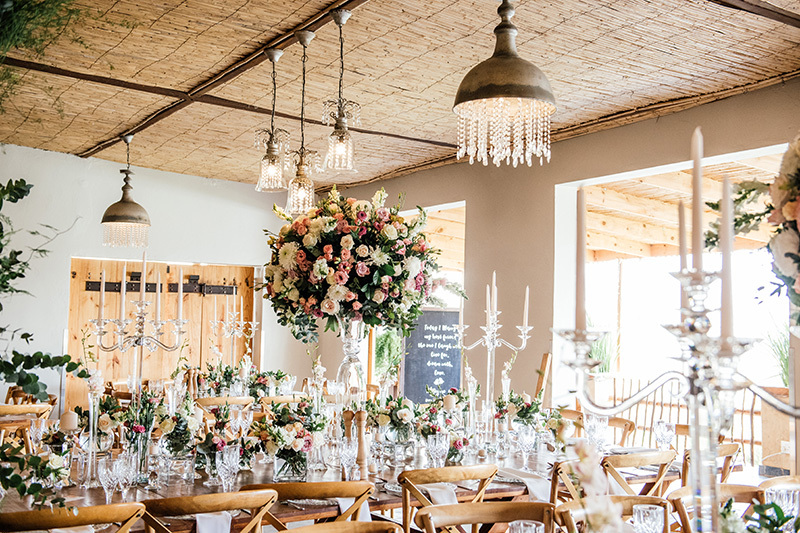 The authentic brass bell hanging above the entrance door was imported from Holland in 1991, the romantic story behind the bell is so fitting for the venue. The bell is rung to announce the arrival of our beautiful bride, captivating the attention and hearts of each and every guest seated in the chapel, paired with the right music this is sure to send goosebumps down every spine, making it an absolute moment to remember, once you have exchanged your vows, the bell will ring, and you will walk over the remembrance bridge were your guests will bless you with petals and wishes of prosperity and abundant love for the years to come. 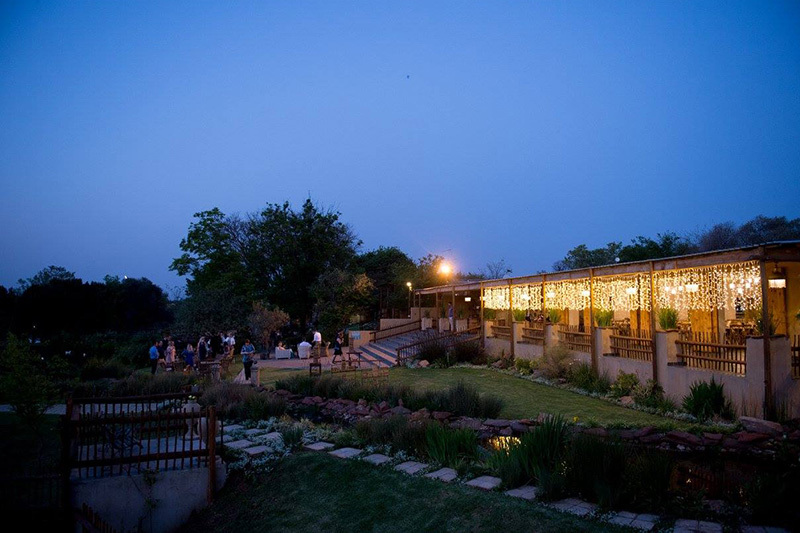 The distinctive handmade Remembrance bridge connects the chapel and the Venue; the sides of the bridge were manufactured from the remains of one of the first industrial buildings of Krugersdorp, Johannesburg. 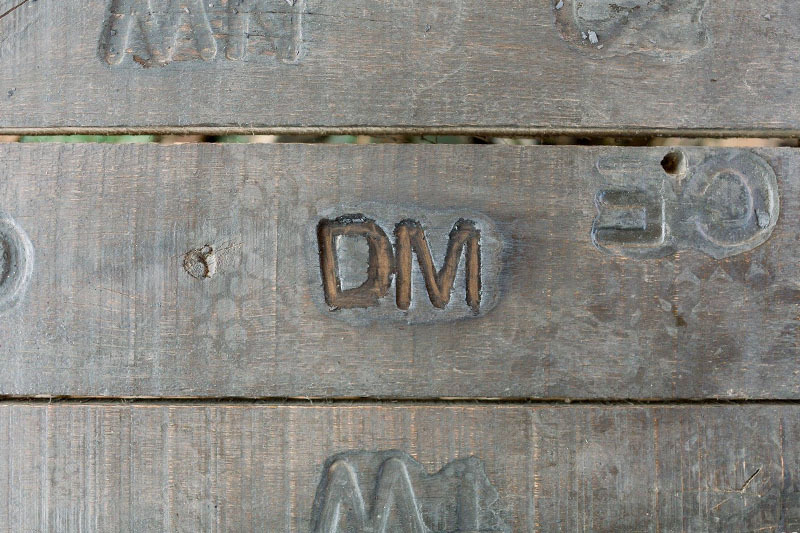 The bridge is marked by branding iron initials from former bridal couples who tied the knot at Cradle Valley. 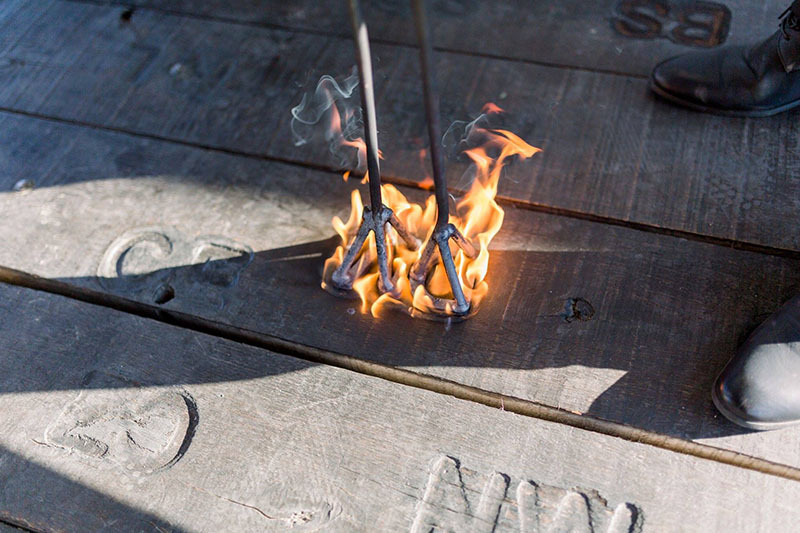 The morning after your wedding day a branding ceremony takes place, during which you brand your initials onto the remembrance bridge, this will be your little piece of Cradle Valley and your branded initials will witness many weddings to come. 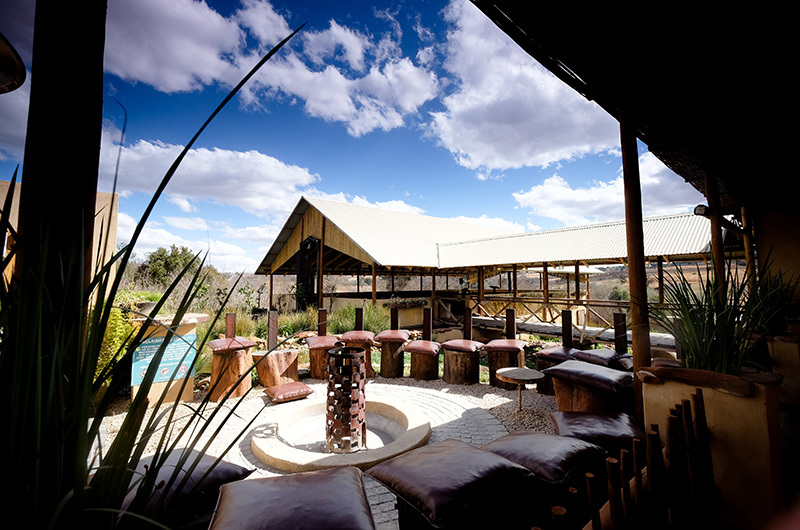 These areas are adjacent to the Cradle Valley dam and this forms part of our Pre-reception area overlooking the nearby mountain. 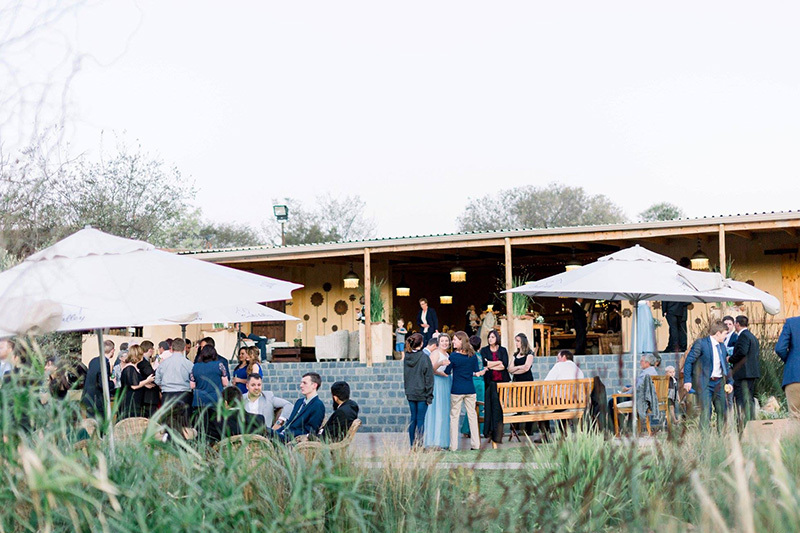 While you take photos, your guests comfort has been taken into consideration, with lounge pockets consisting of our wicker furniture and large white umbrellas, lawn games to entertain your guests, tasty canapé’s or a harvest spread with delicious treats indulgences. 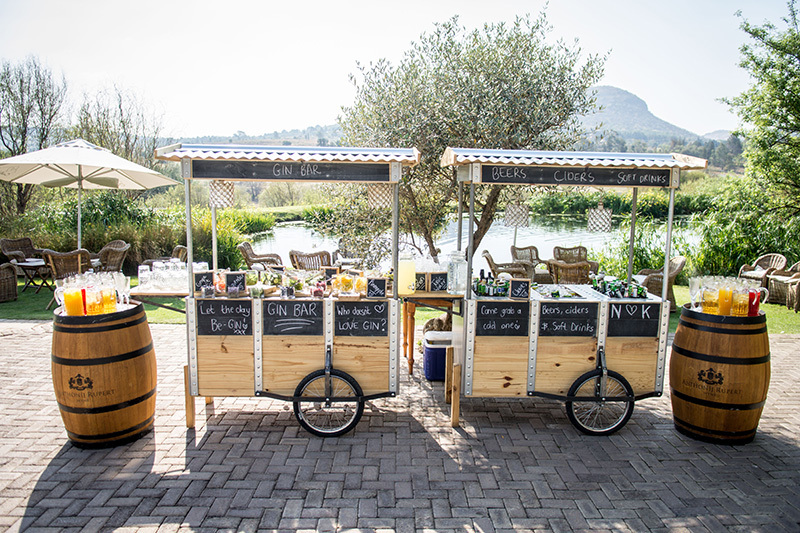 The attention-grabbing Gin Bar, Champagne Bar or Craft Beer and Craft Cider Stand will keep your guests content while they, breathe-in the magical ambience and beautiful views of Cradle Valley. 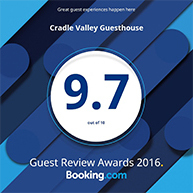 Guests will also be introduced to our unmatched, boundless service from the welcoming and friendly Cradle Valley staff, that set Cradle Valley apart from any other venue; your guest will fall in love with the venue and staff the same way the bridal couple did. 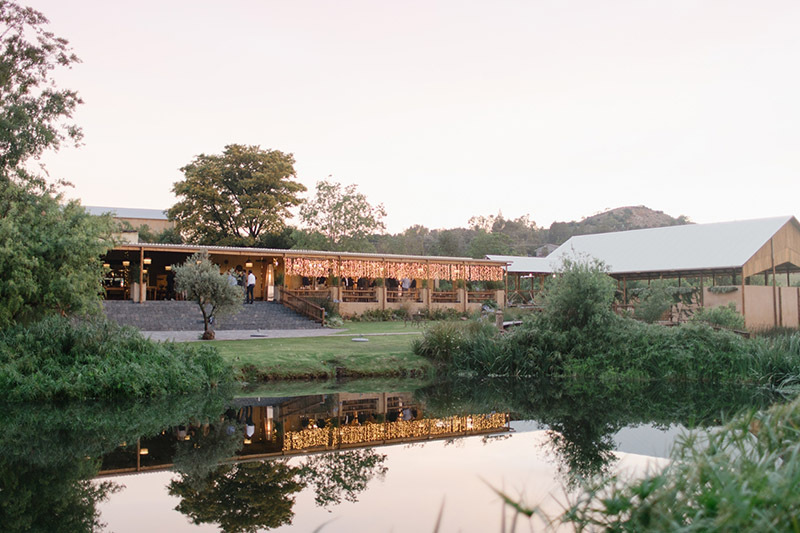 The Cradle Valley air-conditioned reception hall can comfortably accommodate 140 guests with a dance floor in the venue. The dance floor can be moved to the adjacent fountain area if the guest number exceeds 140 guests. 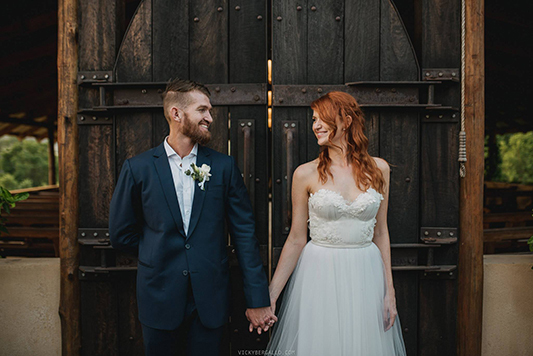 The beautiful reception hall with 12 large handmade solid wooden doors and unique oversized hinges opening towards the patios exposing our natural lush gardens, all around the venue. 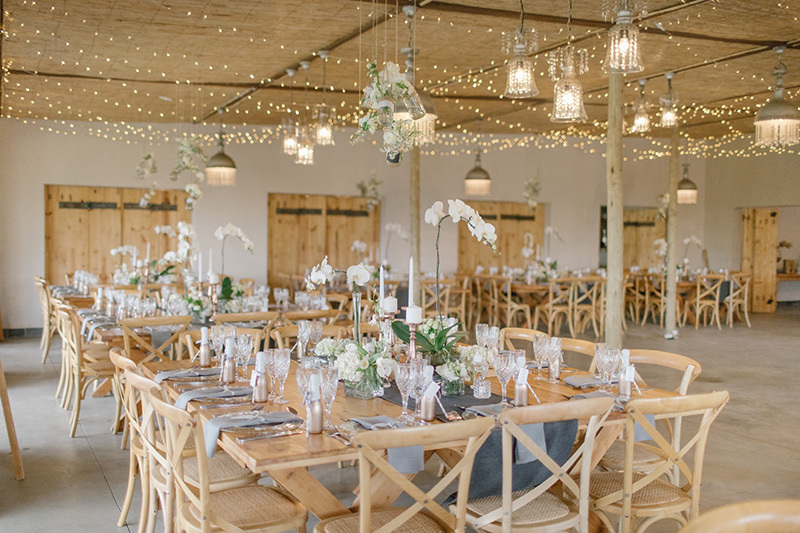 Oregon pine wooden tables and wooden cross back chairs give the hall a warm ambience. 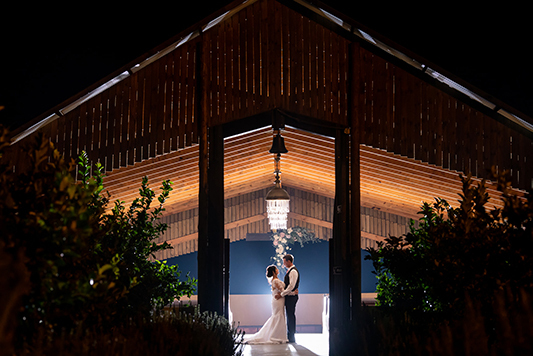 Three large mirrors behind the main table create an exceptional focal point in the main hall, between the reflexion of the flickering candlelight, sweet-romantic moments of the bride and groom can be captured in the mirrors. 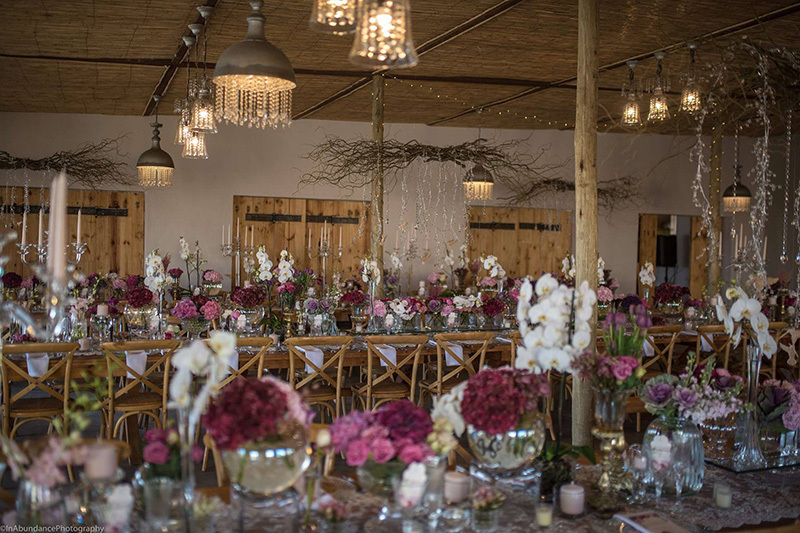 Our dimmable, one of a kind crystal lights create a beautiful ambience for your first dance. 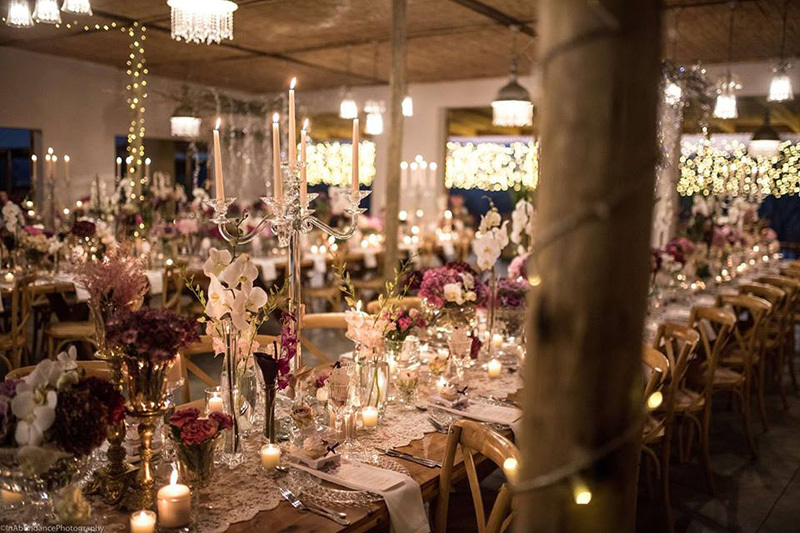 Fairy lights to enhance the mood can be hired from our in-house floral and décor company. 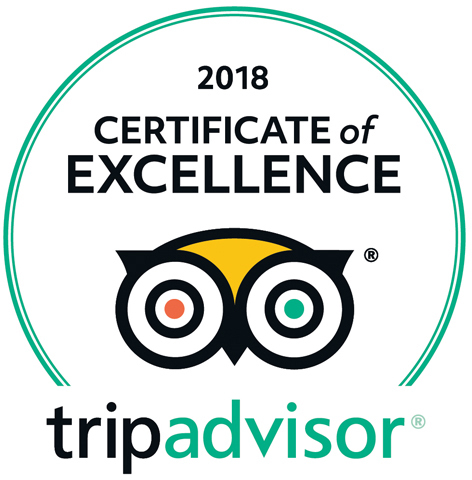 The double volume, air-conditioned buffet area is also a separate and spacious room with whitewashed crystal chandeliers, large Victorian mirrors and beautiful wooden festive trollies for service of your selected buffet menu. 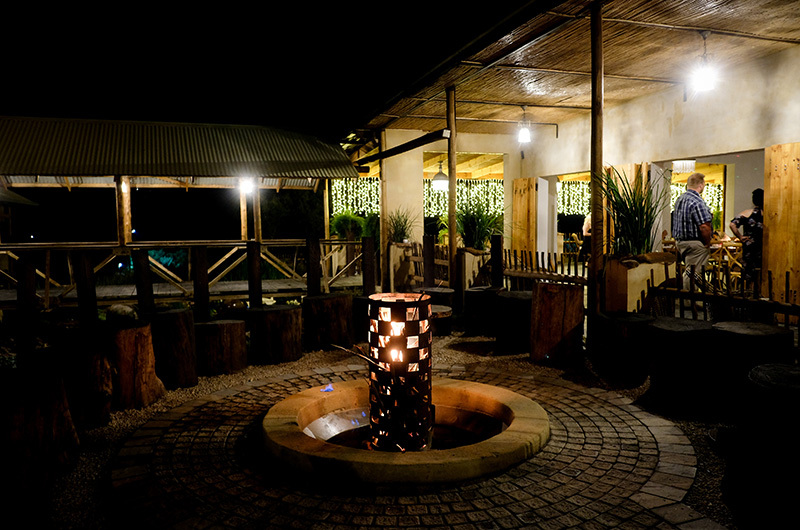 The Boma has the elements of an artistic fireplace in the centre, surrounded by natural log chairs with leather cushions. 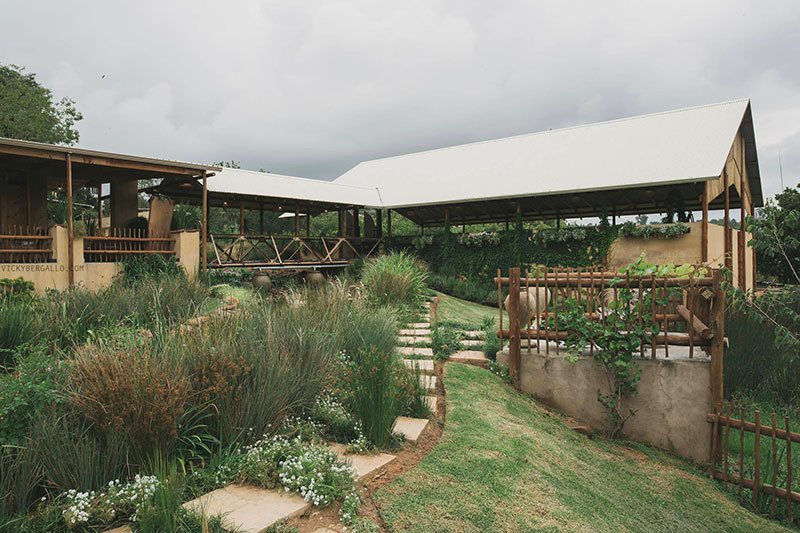 The Boma is tucked away in our garden next to a water stream and the trickling sound of the water dripping from the water wheel immediately transports you to a calming atmosphere after your big day. 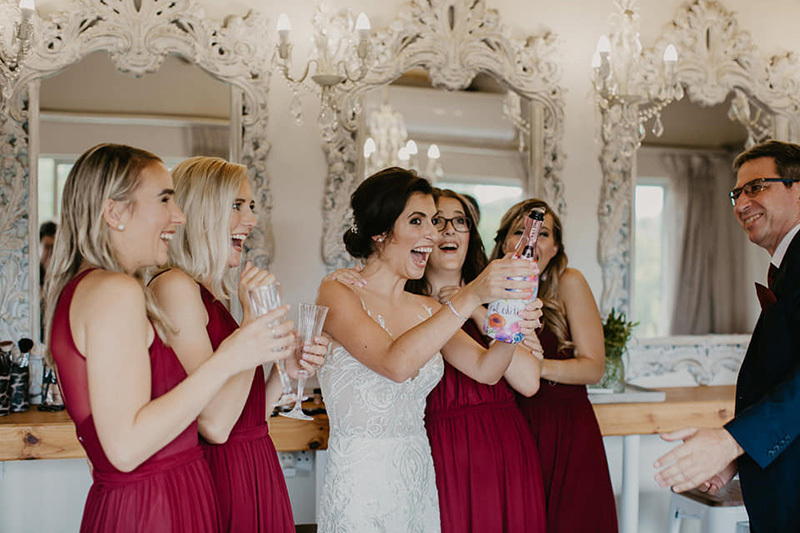 The charm & charisma of Cradle Valley will hearten you to spend that extra quality time with your friends and family, enjoying a few drinks and midnights snacks while you re-live your wedding day and feeding the flames stories of your wedding journey. 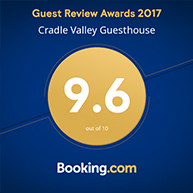 The Cradle Valley Bridal Suite is our flagship and premier suite; it’s decorated in our distinctive Cradle Valley style, the romance of the old timeless world almost forgotten, kissed with a modern touch. 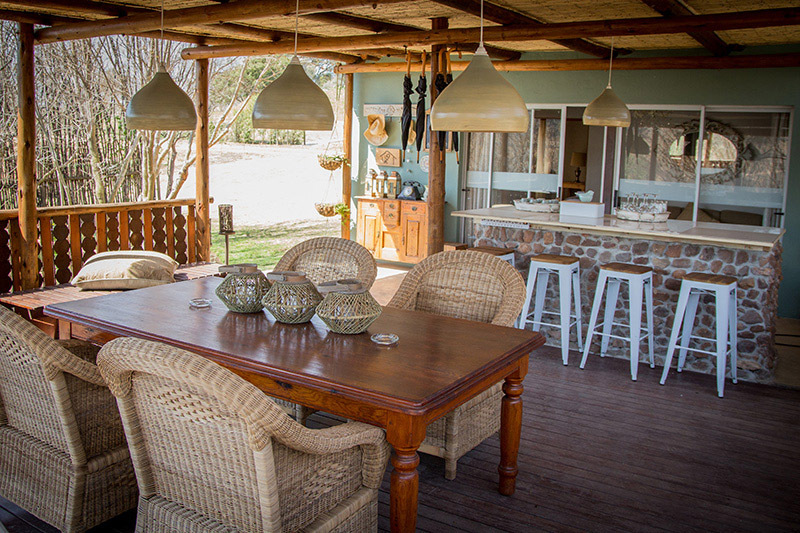 The well-appointed suite is set apart from the rest of the Boutique guesthouse. 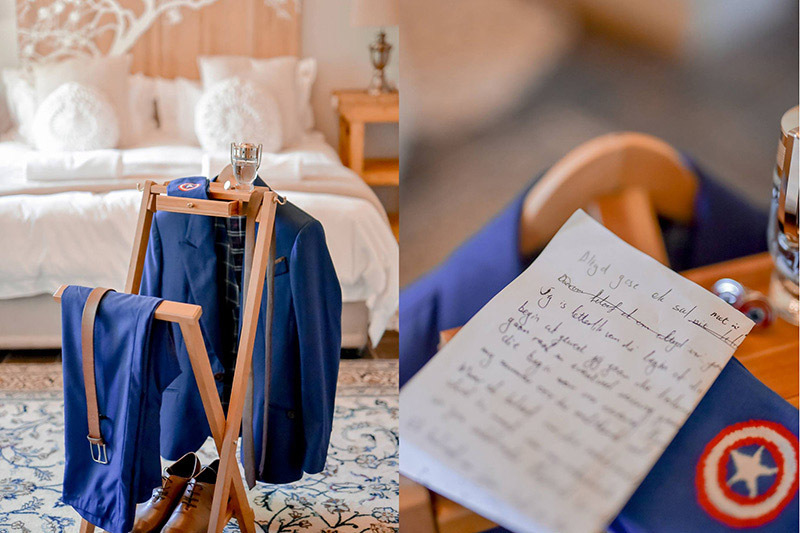 The bridal suite has been designed to create a luxurious, intimate ambience to fit our Cradle Valley King and Queen. A prime feature of the suite is the Jacuzzi on the private terrace, overlooking the pond and nearby mountain boasting breath-taking views. 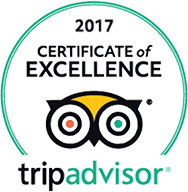 The romantic main bedroom is fitted with an extra length, king size bed, dressed in 300thread count linen, scatter cushions and a Moroccan style wooden carved headboard. The Moroccan art tiles in the bathroom are a beautiful backdrop for the freestanding Victorian bath and double shower. 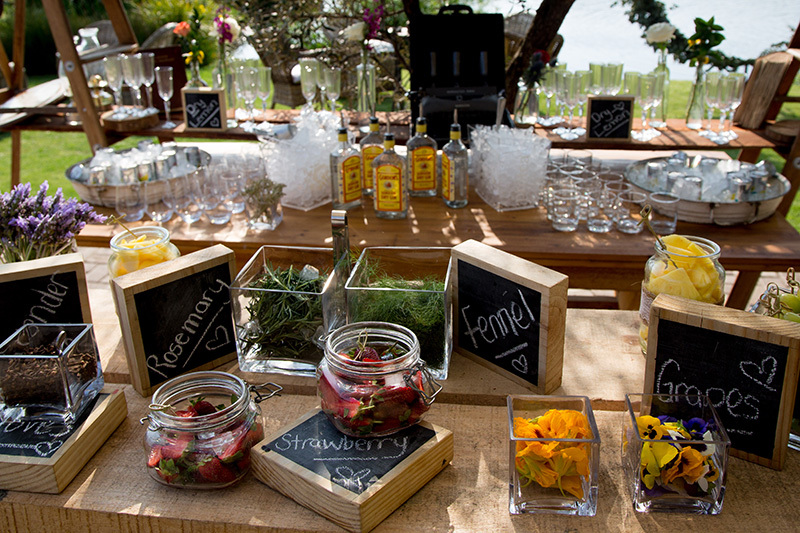 A romantic turndown will await the married couple after their wedding. On the day of the wedding, the bride and her entourage will get ready & dressed in this spacious three-room suite. 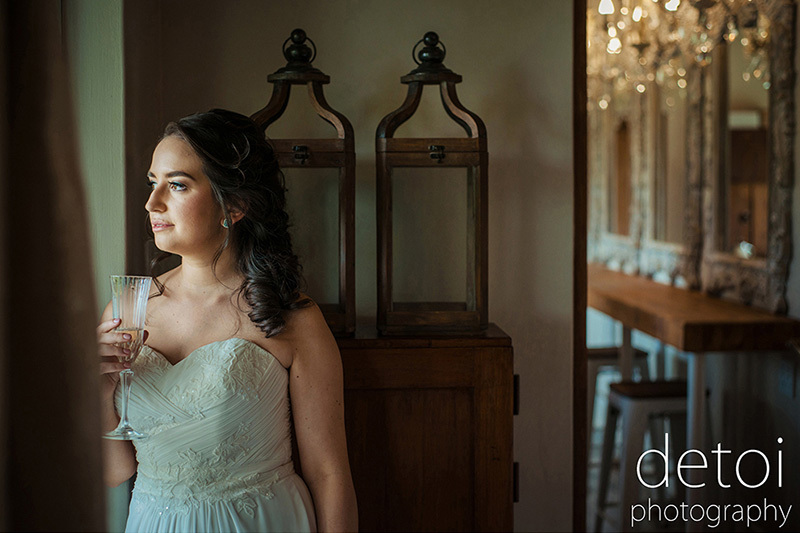 The second room serves as a “clean room” a photographers dream, with 3 full-length mirrors, 2 large antique Victorian chairs and a second bathroom. 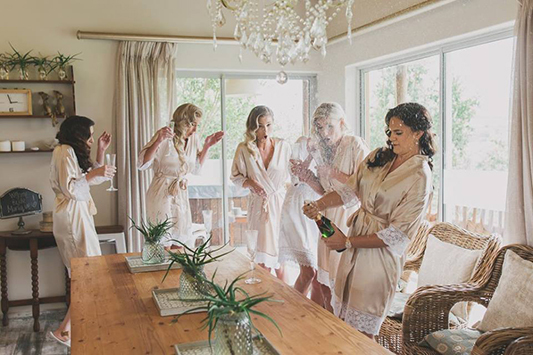 An exciting part of our bridal suite is the centre room, the hub of pretty bridal parties. The girls can enjoy sparkling wine on large couches, with oversized cushions. 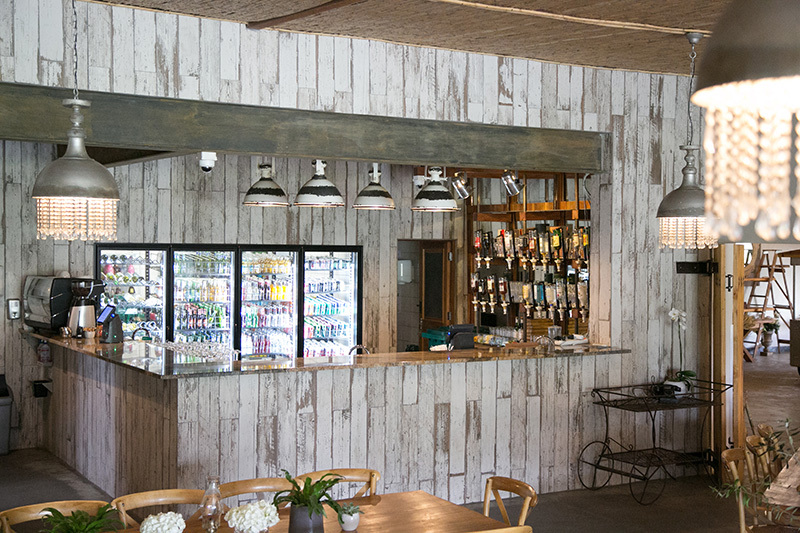 A large wooden table with wicker chairs is positioned in the centre. 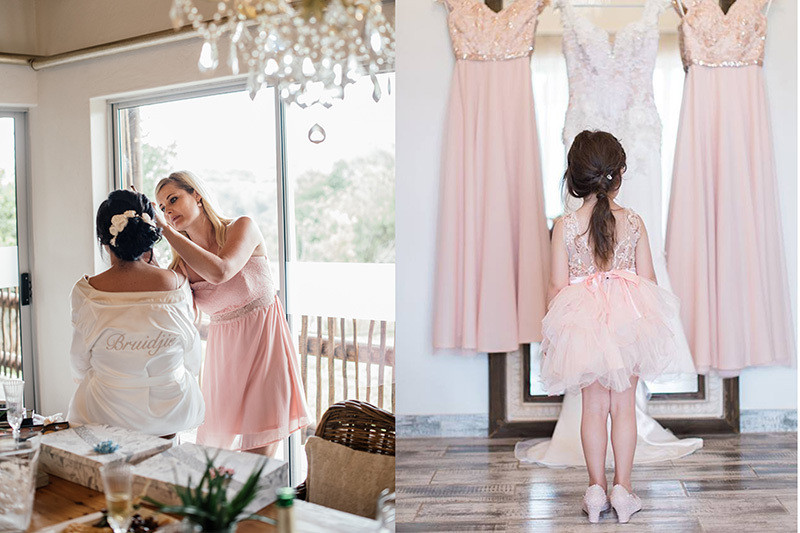 The highlight for the girls in this area is the abundance of natural light, the unique “makeup and salon bar” with high chairs and 4 large whitewashed Victorian mirrors, accompanied with ample electric points and crystal chandeliers. 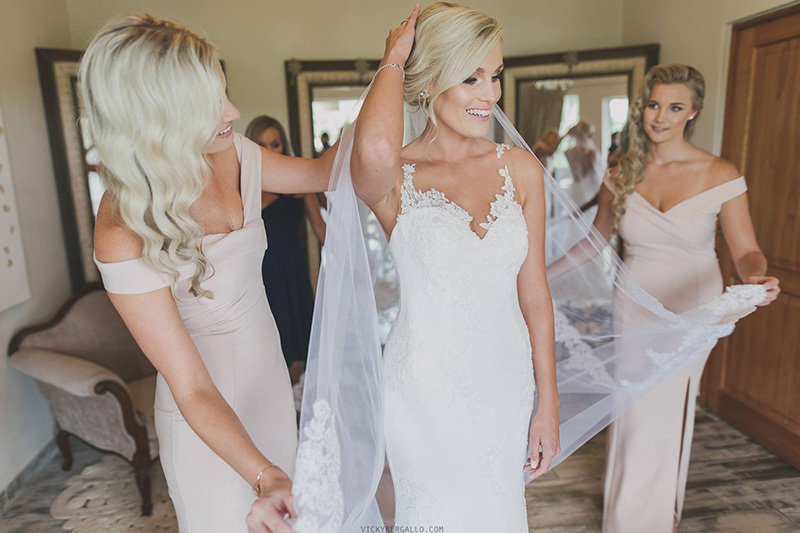 The comfort and practicality of the bridal suite so close to the chapel are definitely appealing, beautiful photo opportunities will be available as the bride walks over the hand-made bridge, down our 70-meter aisle. 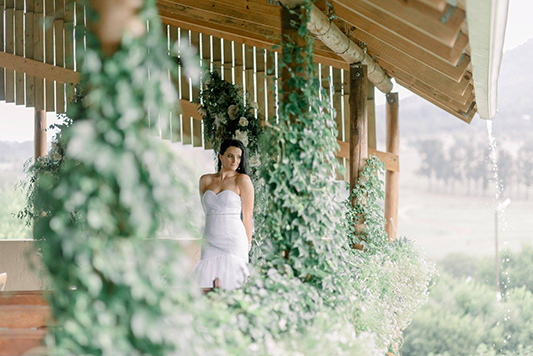 Cradle Valley will cradle her with a path of lemon trees, as she walks into the most romantic day of her life. 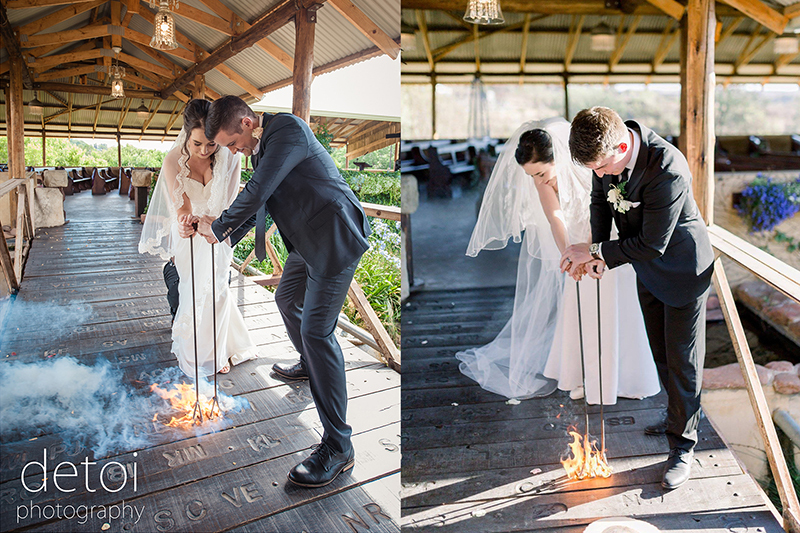 Let’s not forget one important ingredient of a successful wedding day. 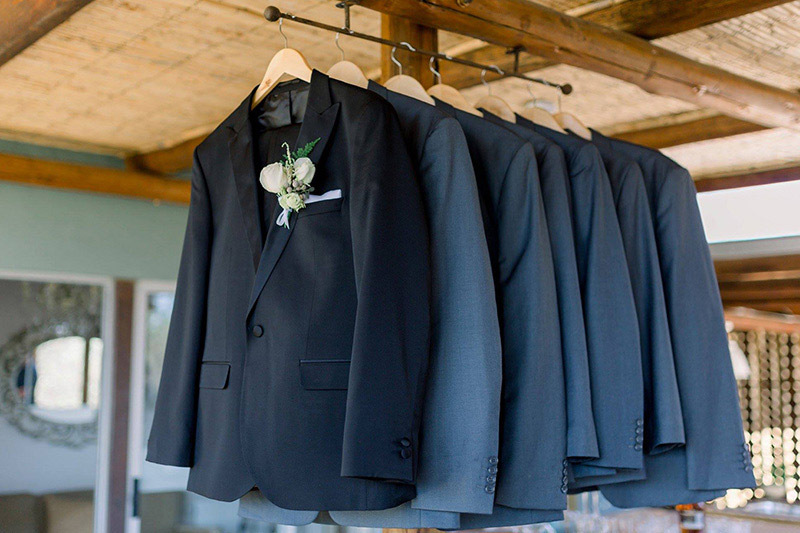 Where do the groom and his groomsmen get dressed? 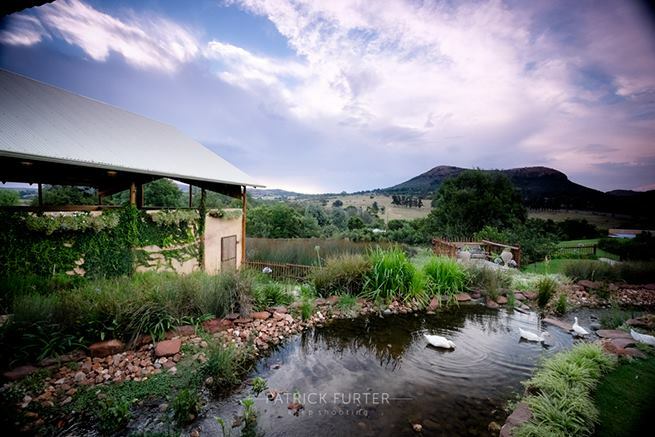 Cradle Valley also ticks this box – our Grooms Cottage offers a combination of a Stylish Groom’s Room and a Rustic Man Cave. 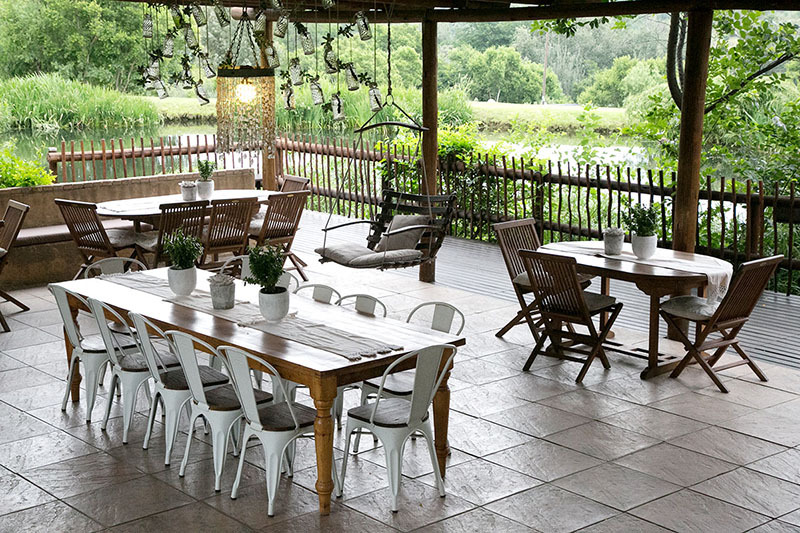 The expansive cottage is set in a private and prestige spot on the estate. 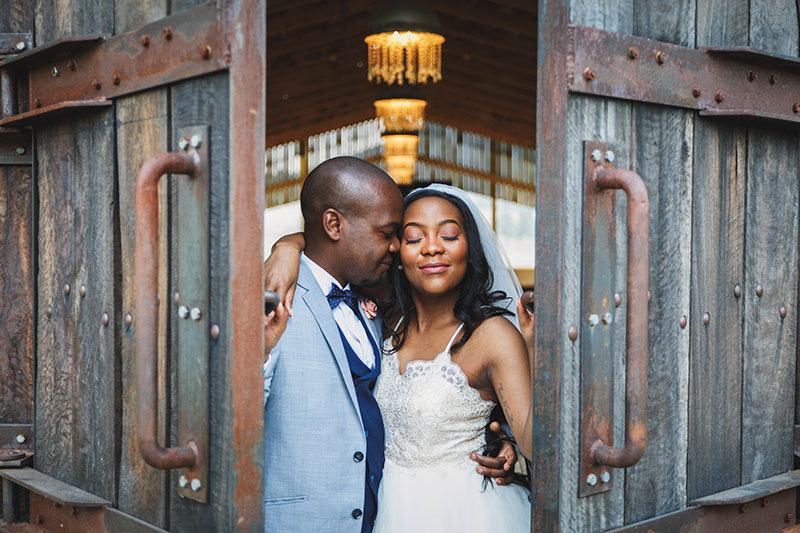 The air-conditioned cottage itself offers all the refined requirements the groom and groomsmen might need, to prepare and get dressed on the day of the wedding, a full-length mirror, amenities, walk-in cupboard, bath and shower etc. 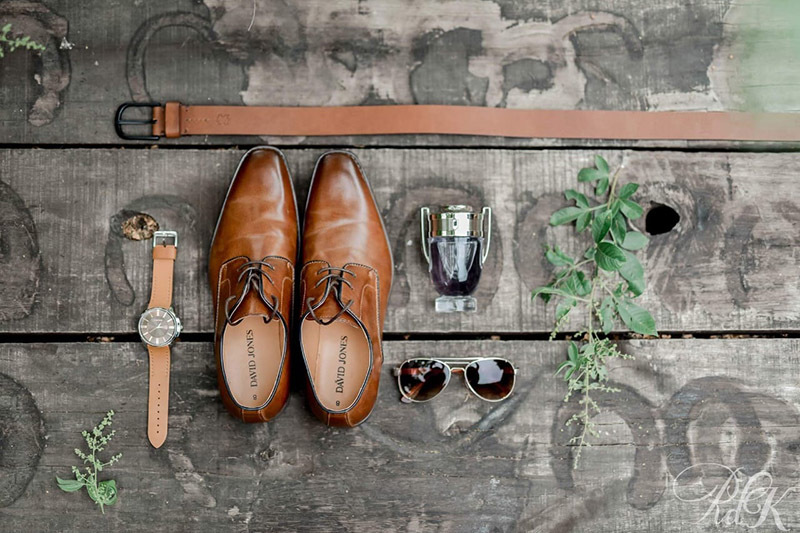 The highlight of the Groom’s Suite is the outside bathroom, authentic, simplistic and unpretentious; it will make you step into a tranquil, undisturbed world of your own. 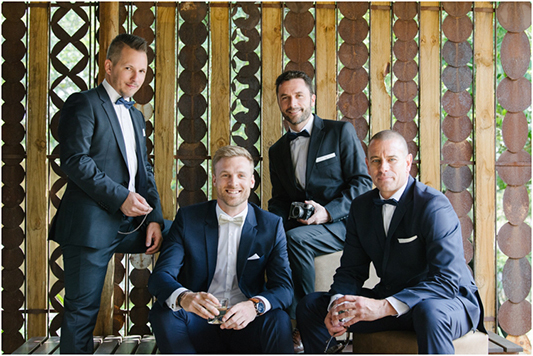 The guys can relax on the vast and secluded wooden outdoor deck, and enjoy the natural surroundings; with the sound of the crocodile river in the background, this is truly a perfect spot for the groom & groomsmen to review duties and procedures for the wedding day. 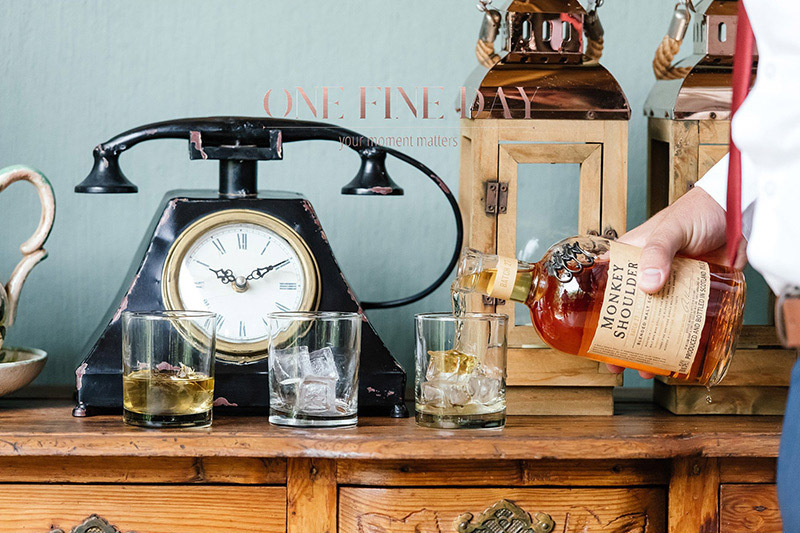 A dedicated waiter will be at your service every minute of the day, from a non-alcoholic cocktail to a single malt highland whisky can be served with delicious snack platters. 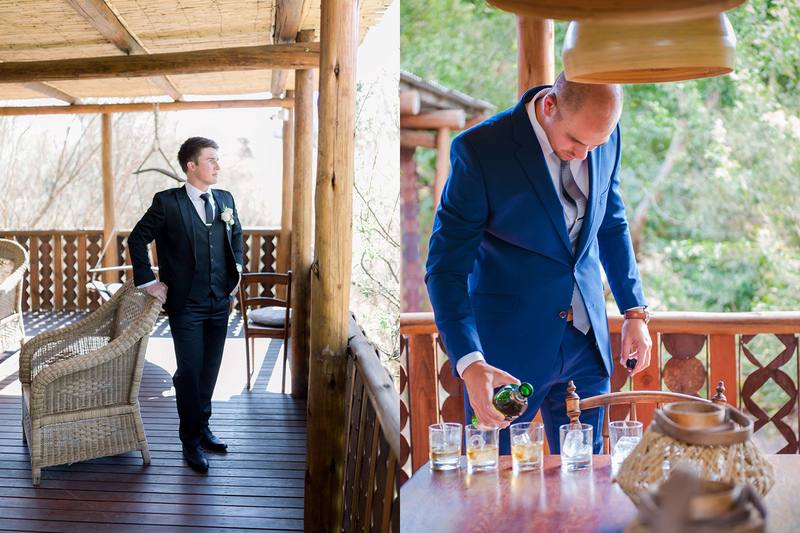 The relaxed & rustic feel of the surroundings is the perfect framework for unforgettable groom and groomsmen photographs.